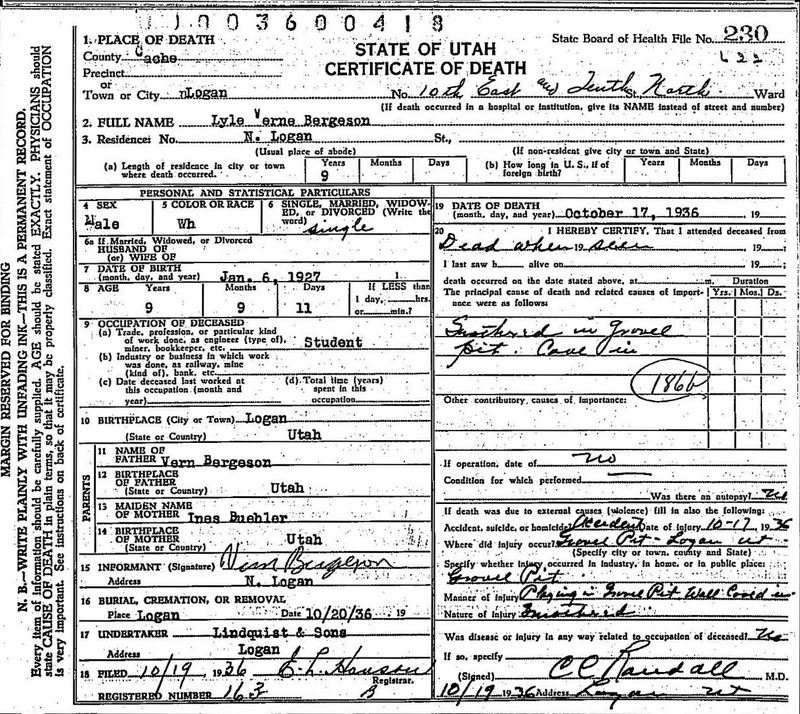 [S2349] Utah Death Certificates Online, Utah State Board of Health, Utah State Divisions of Archives & History, (http://historyresearch.utah.gov/indexes/index.html :n.d.), death certificate 230-622 (1936), Lyle Verne Bergeson, accessed 17 Dec 2010. (Reliability: 3), 17 Dec 2010. [S4801] Bergeson Family Records, Family group records of Niels Bergeson for each of his three wives. (Reliability: 2), 6 Jan 2011.